Here at Tickled Pink the groomsmen will find quality Mens wedding suits to hire and to buy. 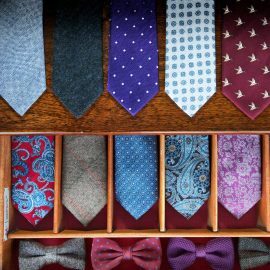 We hire from our own stock – over 500 pieces – to try on for the perfect fit. 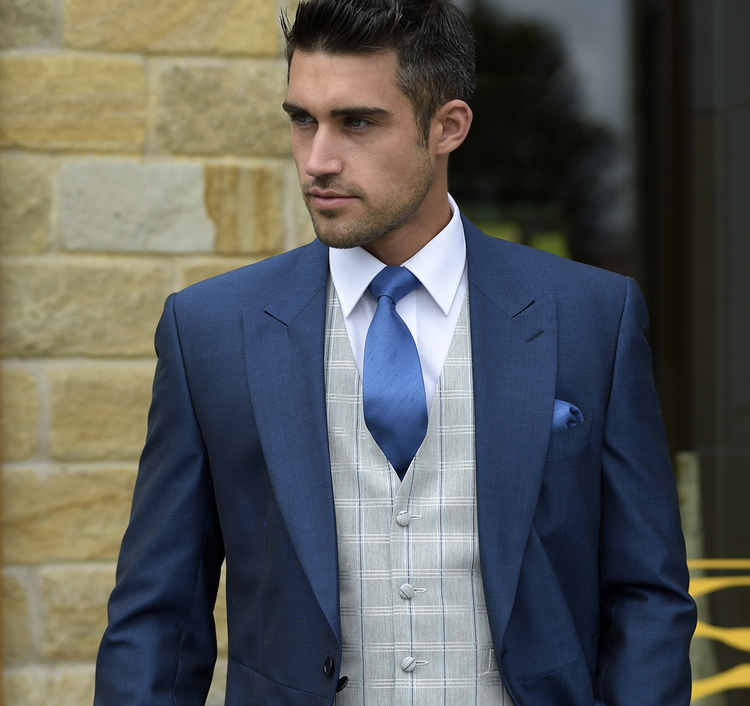 Lounge suits, Tails coats and Prince Edward suit styles to choose from for just £120 per complete outfit. 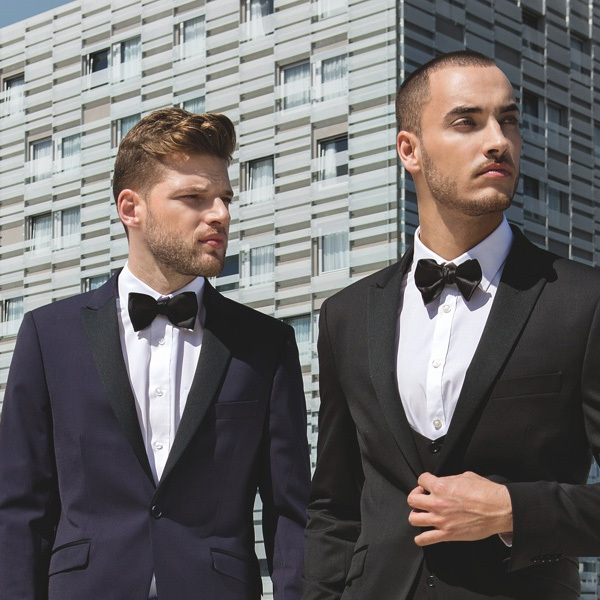 Our Special Hire Offer – hire four adult suits and you have the fifth suit at half price. 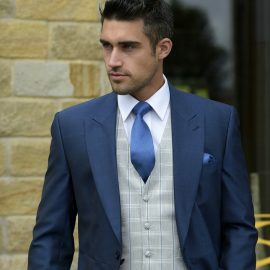 This amazing offer includes the Hire suit of your choice from our stock, a choice of hire waistcoat, any hire neck wear set. 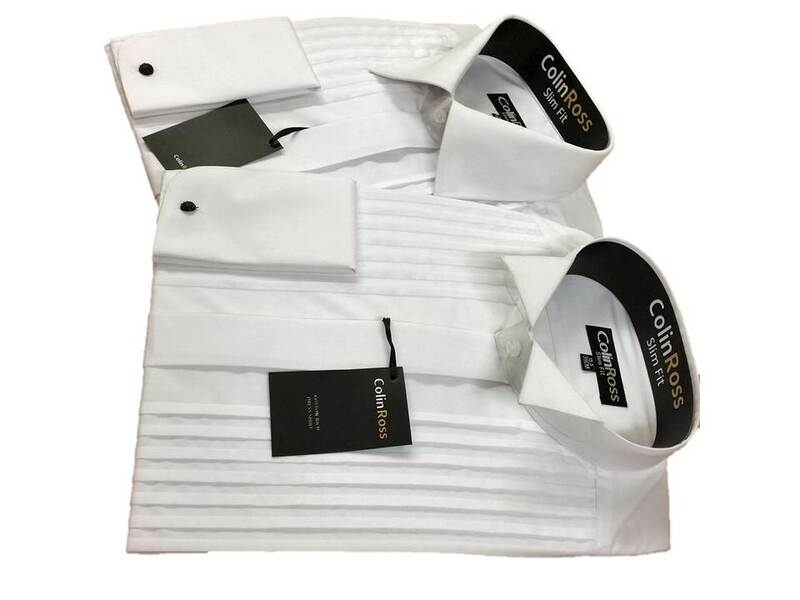 It also includes a top quality formal shirt or cut collar style. 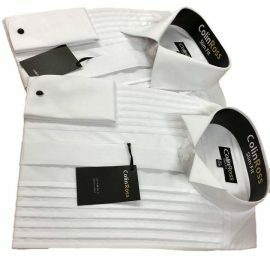 Just a £40 deposit required for each outfit. Terms and Conditions apply at the time of booking. Now in store “Marc Darcy Suits” for either your Wedding or any Special Occasion. 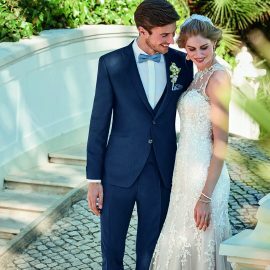 You will also get our full fitting service when you purchase your suit from Tickled Pink. Fabulous Brogues to complete your look, in store to buy from £35 for adults and £25 for children. We have quality comfortable black leather patents by Wilvorst in fashionable slim-toe shape to hire for just £25. Our genuine Highland wear to hire is available in a choice of ten tartans from our supplier Cameron Ross, direct from Glasgow, Scotland. 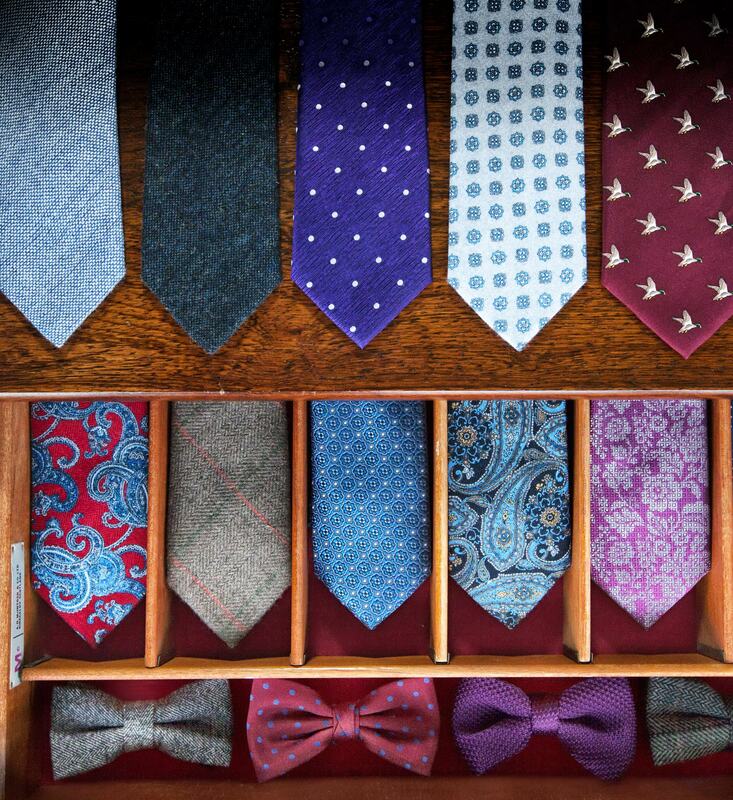 Please note: Call or email to secure your appointment, as we are a very busy shop.